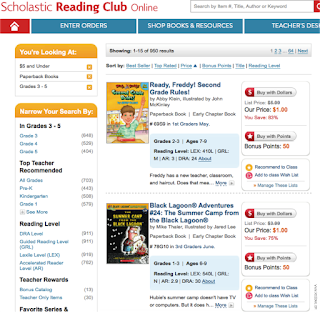 Do you use Scholastic Reading Club in your classroom? 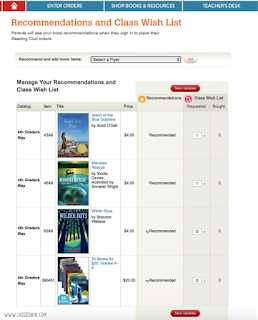 My students and I love ordering books each month. 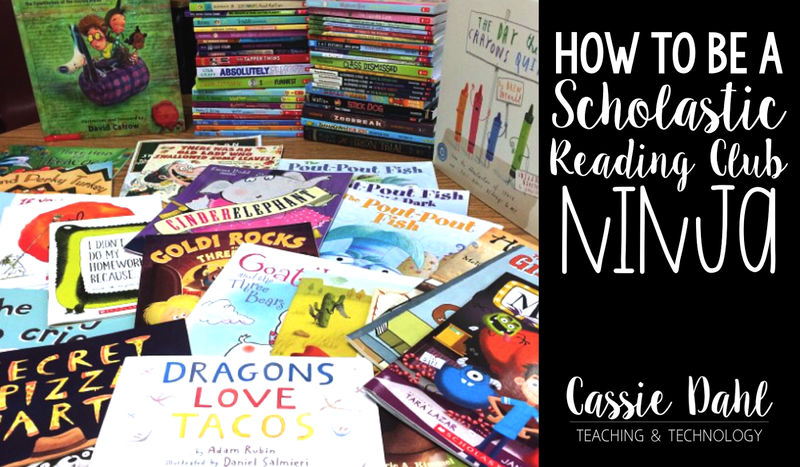 They love the selection of books that they offer and I love that we can get free books for our classroom library! Over the last three years, I have figured out a few tricks to really maximize each order. 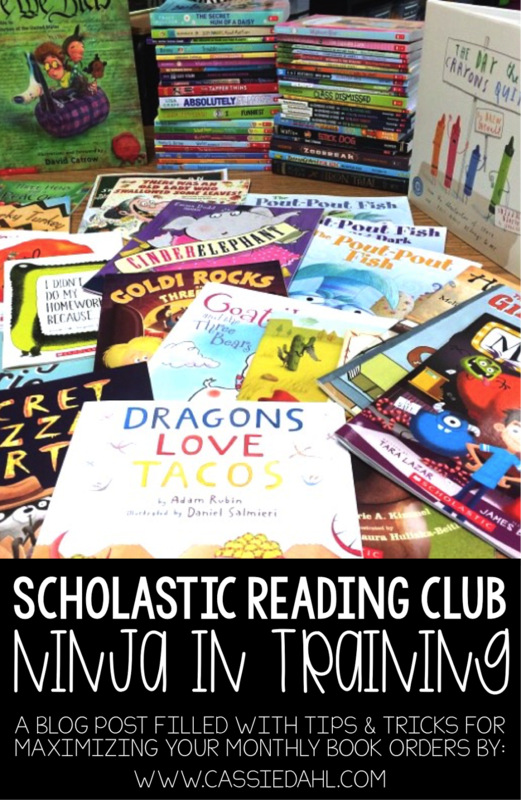 Keep on reading to find out how you can become a Scholastic Reading Club Ninja! I keep everything organized in a folder. I use the two pockets to sort out all of the flyers and paperwork that comes with each order. 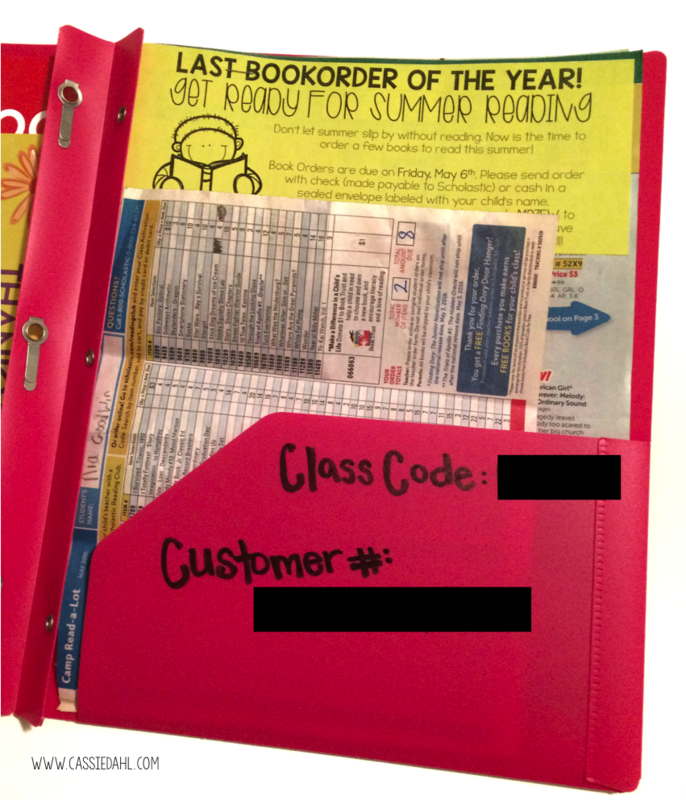 On the left side, I place the bonus point catalog, any bonus coupons/certificates for the month and the order envelopes. On the right side, I place an extra set of book orders and all of the incoming orders. I also wrote on the right side my class code and account number. 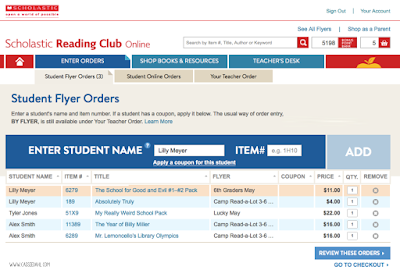 As my students bring in orders, I use the online order entry to enter them so they don't all pile up at once. That can be overwhelming. 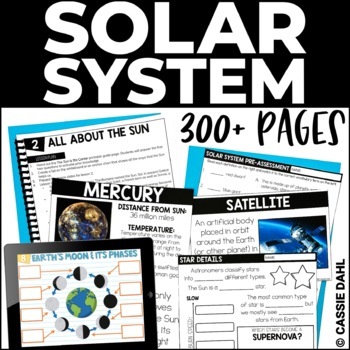 When I send home the flyers, I attach a little note (grab an editable version here) to the top giving important details to my parents such as due date, online class code and any book recommendations. I always send home multiply flyers. 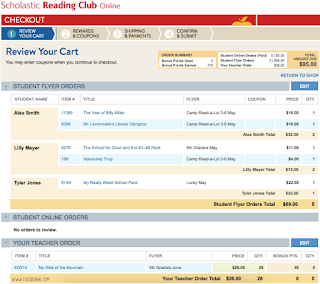 Scholastic offers different flyers for different age ranges. They also usually have an extra flyer (like Holiday books or Blockbusters). 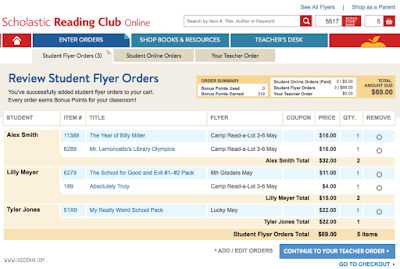 Scholastic makes it so easy to enter orders online. My very first order that I placed, I sent in the paper version... Never Again. As students bring in orders, I start entering them in. The orders save on your account so you can keep adding to them as new orders come in. 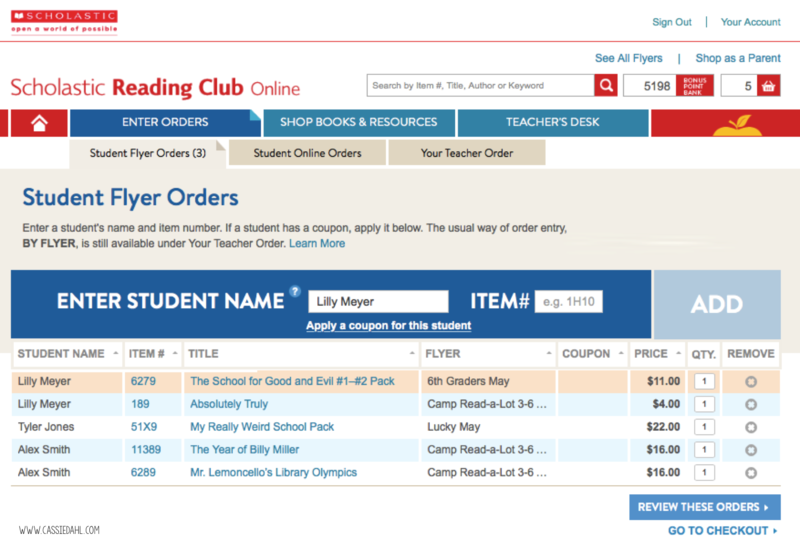 When you enter your student orders online you can add the student name and see the total amount as you go. 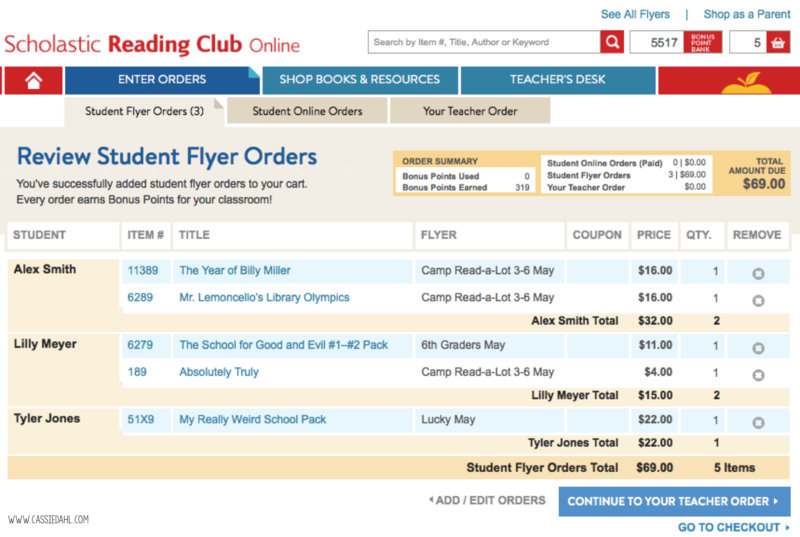 You can also "review these orders" to see a summary of all student orders. Your parents can also place online orders. They will need your class code. I always include this on the little slips that I attach to the orders when I send them home. Online ordering allows for parents to pay with a credit card. 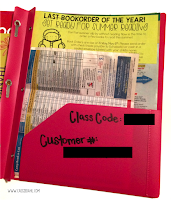 I usually have one or two students a year who place online orders frequently. 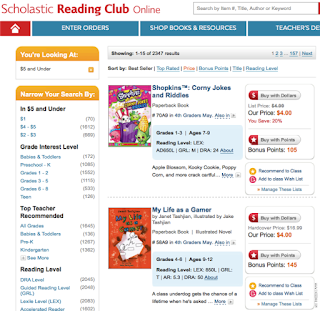 Scholastic also allows you to place your teacher order online. When you do, it keeps it separate from your student orders. 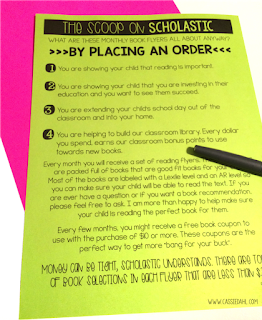 One of the reasons I love Scholastic Reading Club so much is because they offer amazing incentives for teachers. 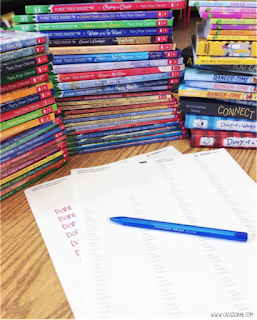 Every dollar your parents (or you) spend turns into bonus points that you can use to purchase free books for your classroom! 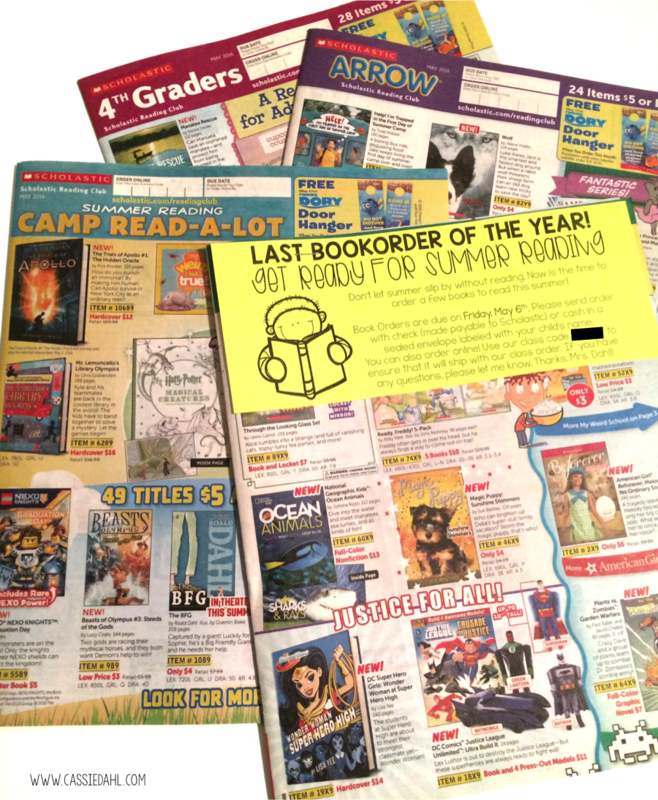 Pay close attention to the monthly offers Scholastic has. Each month they offer a combination of money to spend now, extra bonus points, or money to spend later. The best month to earn MEGA bonus points is definitely September. 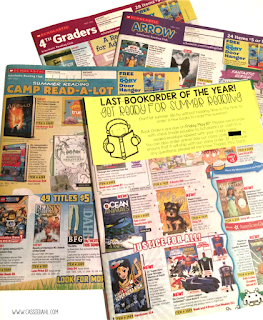 Scholastic loves back to school season and they offer some great deals on books during the month of September but, even more than that they have huge bonuses for teachers placing orders! You WANT to hit $300 the month of September. It pays off big time for you. Even if it means I have to pay out of my pocket a bit to make up the difference between my students' orders and $300, I always do it. 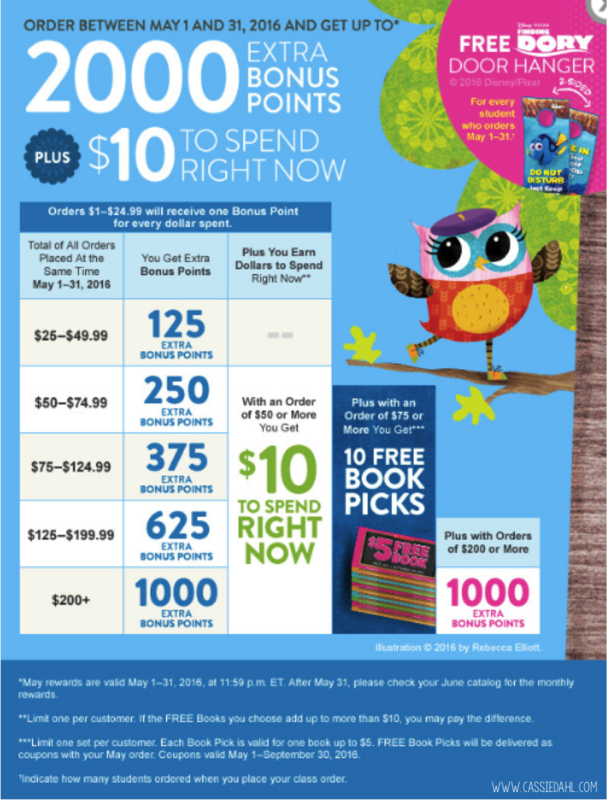 Last September, they offered 10,000 extra bonus points for every order that is over $300. That is huge friends!! Absolutely huge! Here is a peek at what a normal month might look like as far as bonus offers go. It is all dependent on how large your order is. 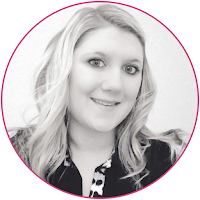 You want to make sure that all of your orders are in before hitting the final submit button. I always set a due date and then give my students/parents a few extra days after that. 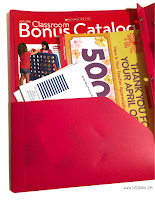 Your bonus points can be spent on just about anything online, in the flyers and in the Bonus Catalog. There are some limitations, like the special packages they offer here and there. But trust me, you will always be able to find something to spend the points on. 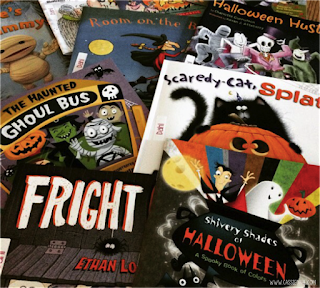 :) If I have a student who places an exceptionally large order- I let them pick out something to add to our classroom library and buy it with our points. It is so important to make sure you parents understand the ins and outs of Scholastic Orders. I have found that my parents (even though they have been getting the flyers for the last few years) do not realize that teachers get points to spend towards their library. 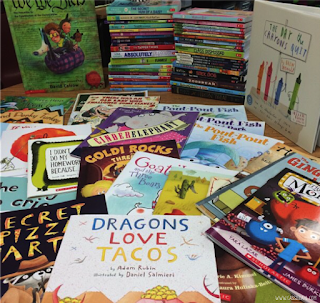 When we have open house, many parents comment on the selection of books we have in our classroom library. 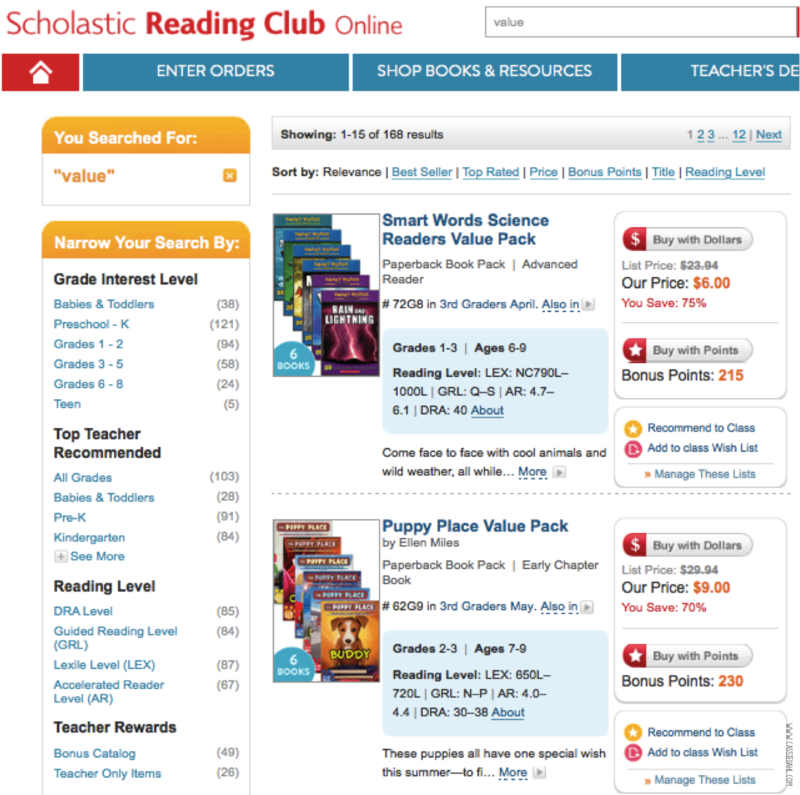 I always make sure to mention that it is mostly all thanks to Scholastic and the bonus points from parent orders. 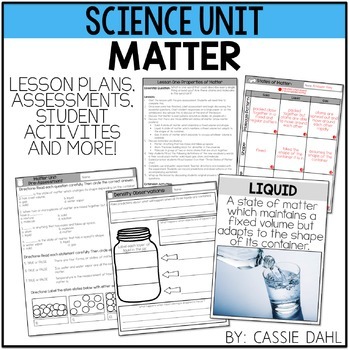 Want to send this letter home with your students? It is a freebie for you! Grab it here. This is something that has taken some time to really figure out and I am going to share all of my secrets! 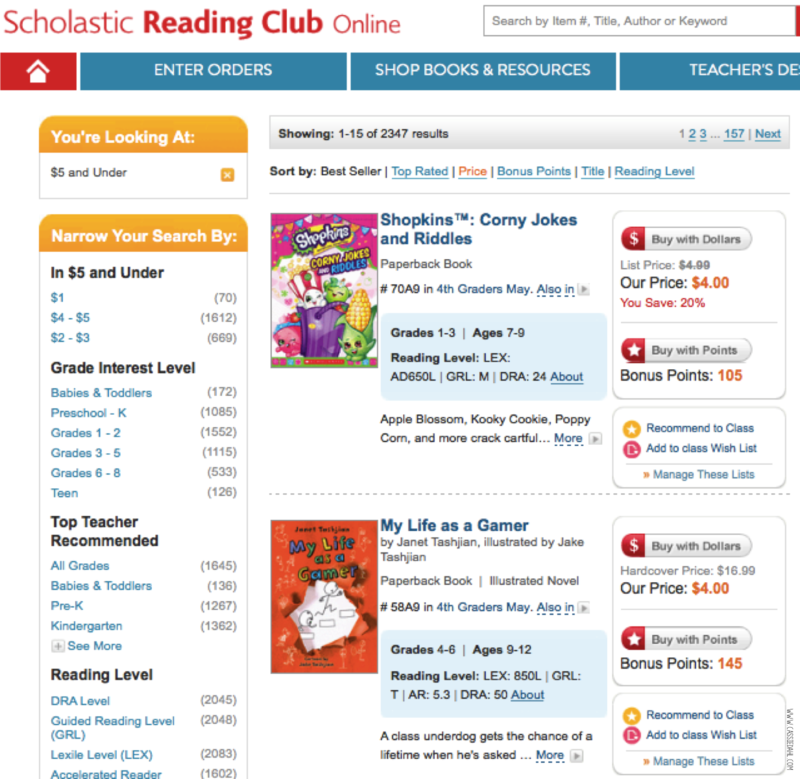 First of all you need to be aware that books are constantly changing on Scholastic. You can order a month behind your current month or a month ahead. Before/After that it's too late. So if you see something, make sure you look what month flyer it is from so you know how long before it's gone. 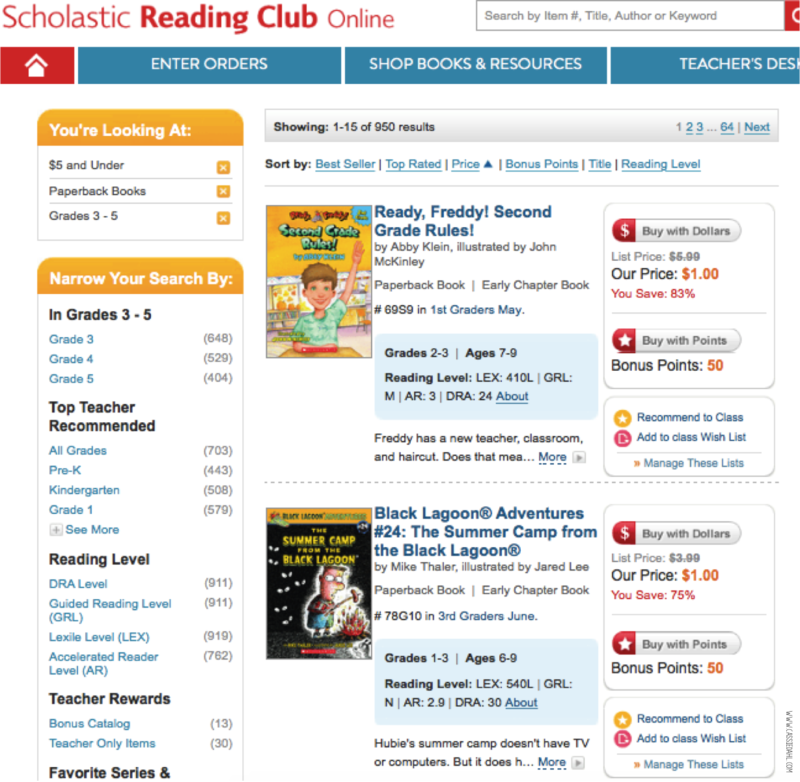 The search option on Scholastic is pretty amazing. 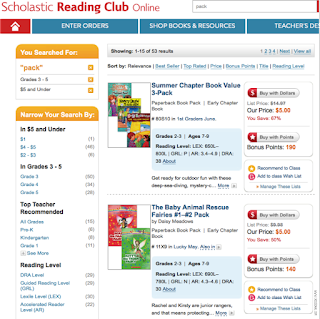 You can search by key word, author, grade level, price point, etc. You can also filter all of your results. I have found that you can search key words like "value" or "pack" to really find great deals. After I enter those key words, I always narrow my search even more by using the filters on the side to select grades 3-5 and/or $5 and under. You can also just check out grade levels or price ranges using the filters too. The search will be your best friend when you are looking to build a classroom library for a reasonable amount of money. You can even look at favorite series and authors! Try the search out and take some time getting used to it. It will pay off in the end. 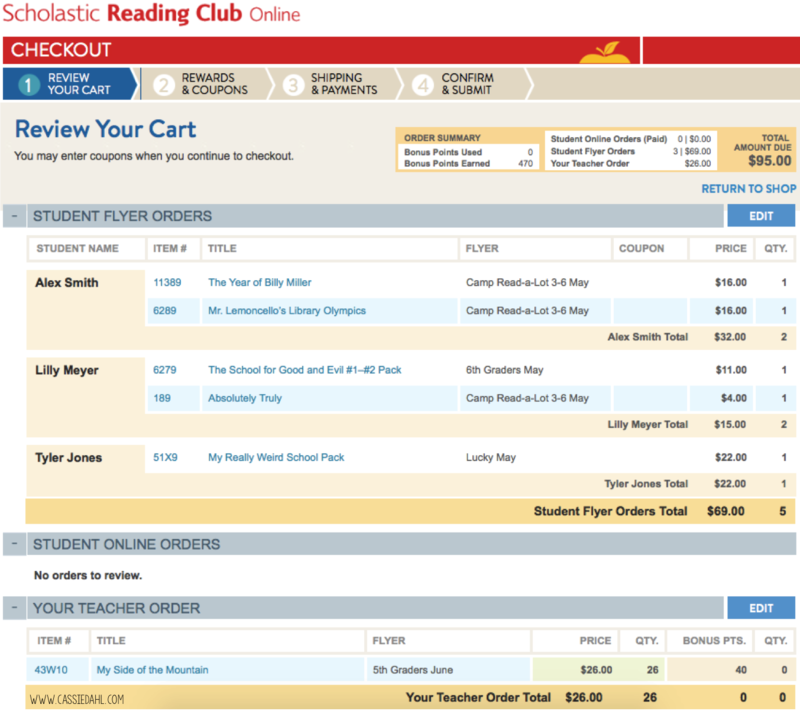 When you are logged in to your Scholastic Account you can click on your Teacher's Desk which has a variety of options for you to customize. You can enter orders or check on the status of orders you have already placed. 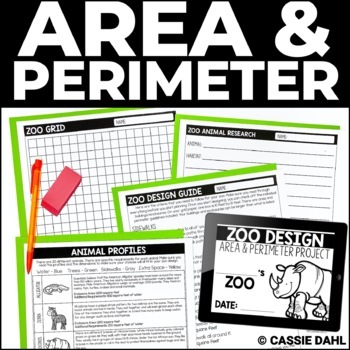 You can also set a due date so when parents log-in they will see when you will be placing your next order. My favorite part about the Teacher's Desk is the book recommendations and classroom wishlist options. 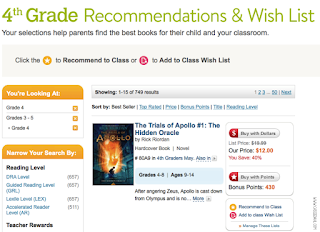 When you are searching for books using the search feature you can add books to your classroom wishlist so parents can see what you are hoping to receive in your classroom. 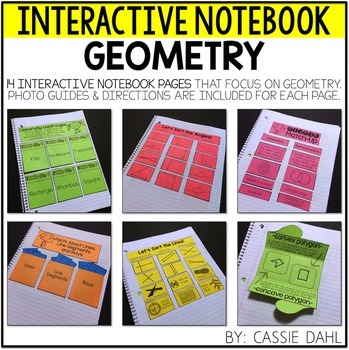 This is a perfect way to communicate what books your students are interested in to your parents. You can also make book recommendations. 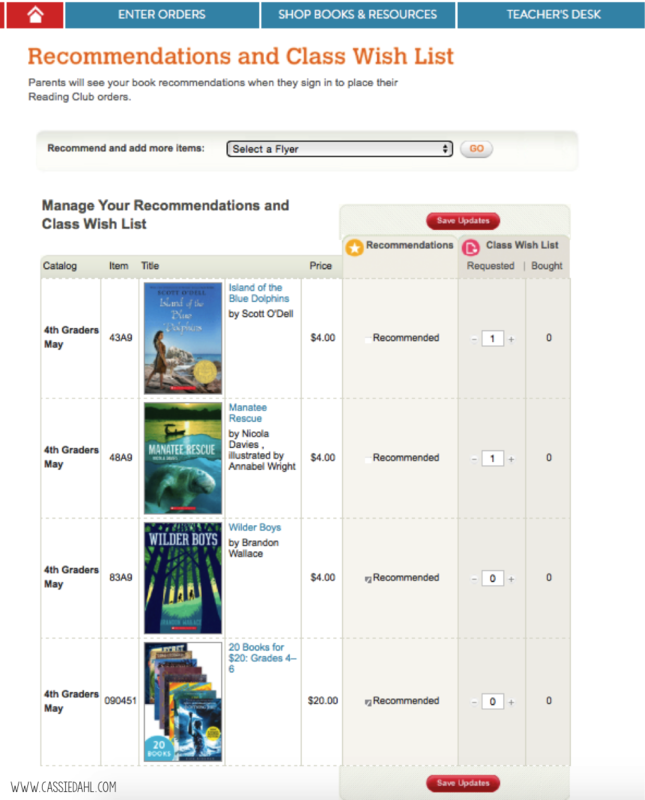 My students will log on just to see what my recommendations are for the month, even if they are not placing an order! 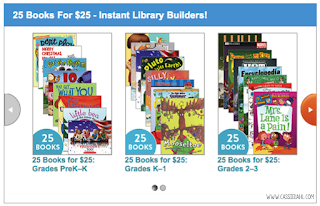 Scholastic offers students some great book deals all the time, but they also offer special value packs that are for teachers only. You can often find book packs for major discount when they package 6 or more books together. 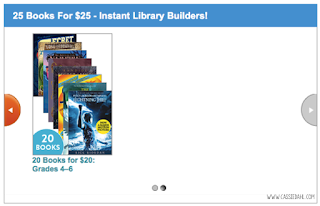 My favorite ones are the 25 books for $25! 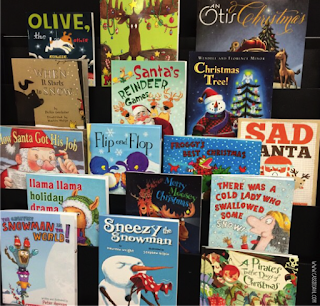 It is a great way to build your classroom library. *Note: You can't always use bonus points to purchase these. Honestly, I should probably admit that I have a book obsession. I get giddy every time I see that white and red box in my classroom. 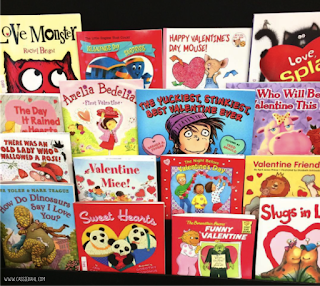 My students know that I love books and we talk a lot about how their orders help grow our classroom library so they have more selection too. If there is ever a book that they want, I always have them tell me. 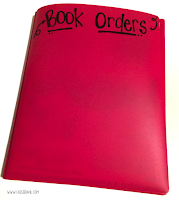 We keep a running list of book requests and that is how we spend bonus points or the extra spending money from placing an order. Can you tell I am book obsessed? These are some of my favorite books from this school year. I was able to purchase the entire Magic Tree House series with BONUS POINTS. Talk about some excited students!! 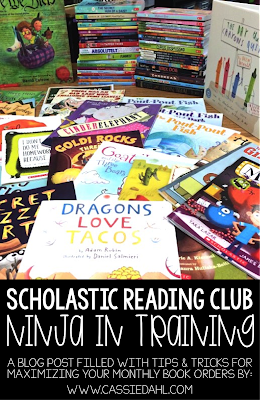 Have you tried Scholastic Reading Club in your classroom? 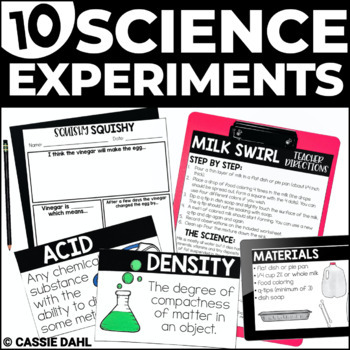 Do you have any awesome tips or tricks? Share them in the comments below!